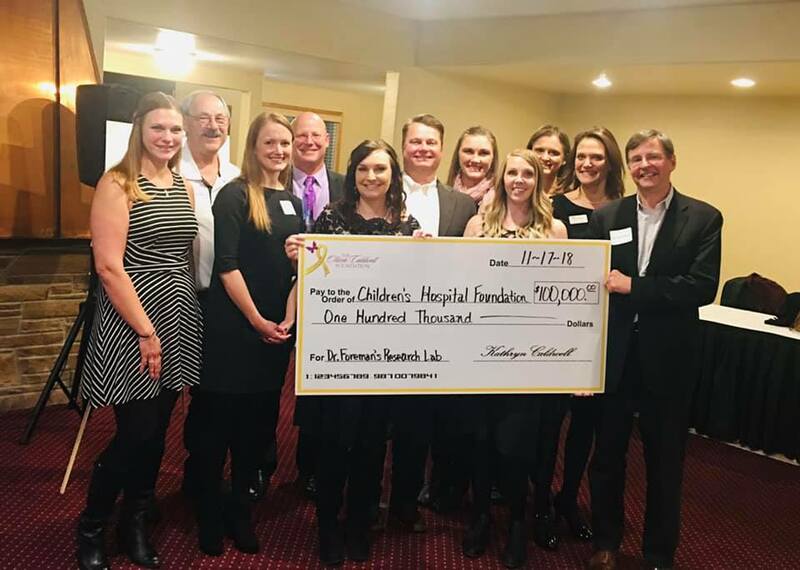 The Olivia Caldwell Foundation made a record annual donation of $100,000 to Dr. Nick Foreman's pediatric neuro-oncology research lab during our annual Donor Dinner on November 17, 2018. "After this latest donation we have now given an incredible $325,000 to pediatric cancer research in just five years," said Katie Caldwell-Burchett, Founder/CEO of The Olivia Caldwell Foundation. "We've now been able to fund more than 30 exciting research projects, help kick start multiple nationwide clinical trials, and assist our research team in receiving millions of dollars in National Institute of Health grants." Olivia Caldwell Foundation made a donation of $70,000 to Dr. Nick Foreman's pediatric neuro-oncology research lab at Children's Hospital Colorado on October 23, 2017. "After this latest donation we have now given $225,000 to pediatric cancer research in just four years," said Katie Caldwell, Founder/CEO of The Olivia Caldwell Foundation. "The research we are funding is helping to fundamentally change the way pediatric cancer is treated and we couldn't be more excited to be a part of this innovation." Olivia Caldwell Foundation made a donation of $1,900 in gift cards to pediatric oncology patients at Children's Hospital Colorado on May 08, 2017. The donation was made possible thanks to a generous partnership with Highland Park Community Church in Casper, WY. "After this latest donation we have now given $10,000 in gift cards in just four years," said Katie Caldwell, Founder/CEO of The Olivia Caldwell Foundation. "These gift cards are for food, gas and entertainment to help improve the lives of children and their families during the long course of their cancer treatment." The foundation hopes to be able to continue to give through this gift card ministry in addition to giving the bulk of their funds to pediatric cancer research. To learn more about how you can help, please contact Katie Caldwell. 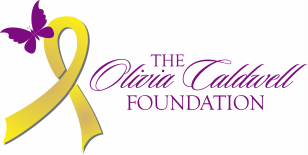 Olivia Caldwell Foundation named "Organization Of The Year"
The Olivia Caldwell Foundation was named "Organization Of The Year" at the Casper Area Chamber Of Commerce Awards Banquet in April 2017. "We are so humbled by receiving this tremendous honor, " said Katie Caldwell, Founder and CEO of The Olivia Caldwell Foundation. "Just being nominated was great, but to be honored in this way by our peers in Casper was truly amazing."